Mojdeh Poul has extensive experience leading global business and operations in large medical device and healthcare companies. With a background in business operations, marketing, and product development, Mojdeh brings strategic vision, focused leadership, and passion to the organizations she leads. 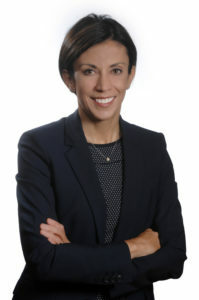 Mojdeh was appointed President of 3M Canada in 2016. Her previous roles in 3M include President of Infection Prevention Division, Vice President and General Manager of Food Safety Business, and Vice President of Global Marketing for Critical & Chronic Care Solutions Division. Prior to 3M, Mojdeh held a variety of executive and leadership positions in business and marketing, manufacturing operations, and product development at Medtronic, Boston Scientific, Teleflex Medical, and General Electric. Mojdeh holds a Bachelor’s and Master’s Degree in Mechanical Engineering from the University of Louisville in Louisville, KY, and an MBA from the University of North Carolina’s Kenan-Flagler Business School in Chapel Hill, North Carolina. She is a member of the Board of Directors for 3M Foundation, and has previously served on the Boards of Advamed (Advanced Medical Technology Association), the Children’s Theatre Company in Minneapolis, and the ALS Association of Minnesota, North Dakota, and South Dakota. Mojdeh was recipient of the 2016 “Health Care Innovative Leader Award” by The Women’s Health Leadership TRUST organization in Minnesota. She was also recently named to the 2017 Becker’s Hospital Review list of “110 Women in MedTech to Know”. Mojdeh is married with two children, Tristan and Kiana. She enjoys traveling with her family, downhill skiing, personal fitness, reading, and watching her children’s sports competition.